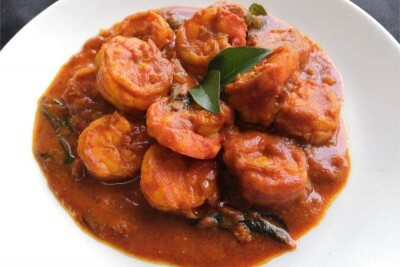 Cooking Instructions: In a thick bottom fry pan add 100ml water and unpack the Tangy Prawns Ghee Roast masala into this pan. Allow it to cook in low flame stirring occasionally. Don't allow the pan to dry up and burn. Add more water if masala turns too dry. Cook for 10 minutes and check for the doneness of prawns. Serve with some fried cashew-nut on top as garnish.